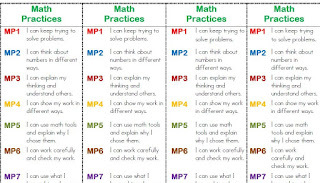 Students will love these bookmarks not only to keep place of their work on their journals but also to help them learn the 8 math practices in kids' friendly language.Check out my store at Teachers Pay Teachers for the Math Practices Posters and other Common Core Materials. As we start a new school year I wanted to share with you a couple of things I have been working on. 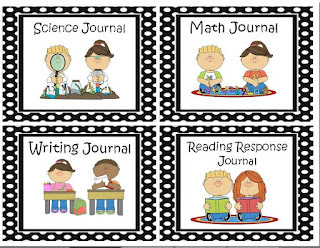 The first is a set of labels for Classroom Journals. I use classroom journals intensively, I think they're not only a great and fun teaching tool, but they're also crucial for informal and "on the spot" students' assessment.